*Contains gelatine and carmine ingredients. 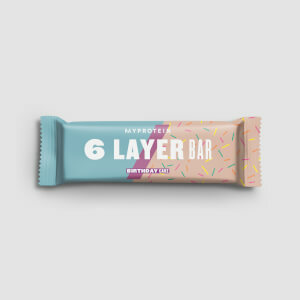 Two layers of protein with a pink caramel layer, soya nuggets enrobed in a white chocolate flavour coating with sweeteners, topped with sugar strands. Two layers of protein with a caramel layer, soya nuggets enrobed in a milk chocolate flavour coating with sweeteners, topped with fudge crumb . Two layers of protein with a caramel layer, soya nuggets enrobed in a white chocolate flavour coating with sweeteners, topped with dark biscuit crumb. Two layers of protein with a caramel layer, soya nuggets enrobed in a white chocolate flavour coating with sweeteners, topped with lemon meringue. Full disclosure, I'm at the start of a weight loss journey at the moment (one stone down already!) 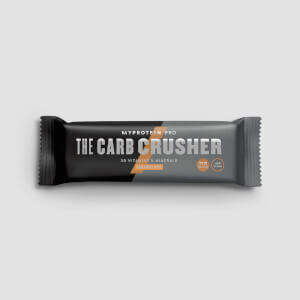 I have an insane sweet tooth and previously I'd been using Grenade Carb Killa bars as an afternoon snack but these are superior in every way. I bought the Cookies and Cream flavour and it reminds me of a luxury version of toffee crisp! Really nice. Thicker, tastier and more filling than the other brand. Better value for money too. (these are 70g, Grenade are 60g) Will definitely be getting more of these and will probably get the Birthday Cake flavour too. Sat here looking at the macro's in disbelief! Best protein bar I've had by a long long way. Thank you My Protein! Anyone training, with a sweet tooth looking to snack smarter. So good! Not dry at all! These are by far the best bars I have had, they top grenade bars by a mile with texture. Taste and texture both amazing. Not dry at all, texture is almost spongy like real cake. In loveeeee. Best protein bars out there! I can't recommend these bars highly enough, they are the closest protein bars to actual chocolate bars/sweet treats I've ever tried. They are also much bigger than I expected considering the nutritional stats - bonus! Cookies & Cream: 10/10, my favourite by a mile. Tastes just like a chocolate bar, great texture and flavour with a layer of gooey caramel similar to what you'd get in a Mars bar etc. Birthday cake: 9/10. The taste is spot on - tastes exactly like vanilla birthday cake, and the texture is much softer than a normal protein bar (although obviously still not quite the texture of cake!) Lemon meringue: 8/10. Very natural lemon flavour, not artificial or overly sweet at all (always a worry with lemon flavours). The bottom layer also has an amazing 'shortcake biscuit' type flavour, which makes the whole bar taste like a lemon tart. Chocolate sundae: 7/10. A great tasting chocolate bar that definitely hit the spot for a sweet treat, but for me the texture was just slightly more dense than the others. My personal preference is also to have a caramel layer rather than a chocolate sauce layer, hence the slightly lower rating. All in all - these bars are awesome. It's great to finally have a bar that tastes like a proper treat but with perfect nutritional stats for me. 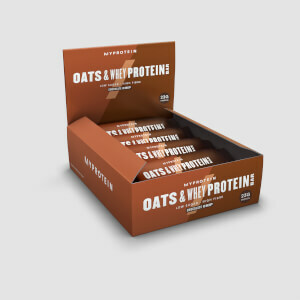 Nice job MyProtein! 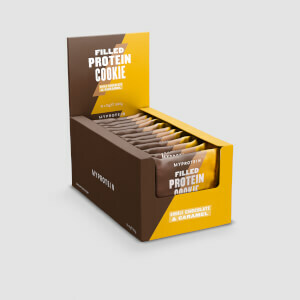 For a protein bar, the taste and texture are great, but I feel that they do make me feel a bit sick after eating them. I’ve eaten about 5 now and had the same sickly feeling each time after I’ve eaten them. I’m choosing to stick with the grenade carb killa bars. Thursday night in our house is cake night - everyone has a piece of cake as an appetiser, not dessert. When I'm on the keto diet, I can't really take part, until now! I recently had my first Birthday Cake bar and ran around in joy. The taste is sweet and reminds me of a 'Fab' ice lolly, the texture is chewy, crunchy, very satisfying, it looks wonderfully pink and delicious. I'm hyper sensitive to the awful taste of any fake sweetener, including sucralose and stevia, and I was expecting the worst. But these were absolutely fine. I cut my bar into 16 tiny pieces and enjoyed every single one. I'm looking forward to trying the other flavours. Roll on next Thursday! Thursday night is cake night in our house - every one has a piece of cake/pudding before supper. Up to now, it's been impossible for me to take part when I'm in a keto diet cycle. I had a 6-layer Birthday Cake bar for the first time yesterday and ran around in joy. Aside from looking good (I sliced mine into 16 pieces to make it last longer), the texture is chewy and satisfying - l like having a 'Fab' ice lolly in a bar. The best thing is the sweetener. I cannot abide 'Stevia', sucralose, or any other sweetener. I can taste even a very small amount and hate it. I was expecting the worst with these bars, but I honestly can't taste the sweetener. They are sweet and pleasant. I can't wait to try the other flavours. Would appreciate being able to buy a box of mixed bars. Thank you, MyProtein. Nothing wrong with these, they’re actually delicious. I’ve tried to Lemon and it is easily up there with the best protein bars. It could do with being a tad sweeter. Doesn’t quite hit that sweet spot. Before the new Grenade bars came out I wouldn’t have been able to choose. But the new Grenades are nicer and they’re actually a lot cheaper. These bars aren’t worth the extra charge. Maybe if they go down I’ll buy them again, but for now, it’s Grenade all the way.